These days, I am pretty much an exercise addict. Not obsessively (maybe I was a couple of years ago...) but I just find it easy these days, it’s part of my life, I workout 5 or 6 days each week and rarely find it any effort to fit it in. But there are days we all struggle, days it is an effort. On the days I feel tired, the days I lack motivation, the days I am rushing around and I tell myself I just don’t have the time, the hardest bit is the first 5 minutes. In fact, the first minute. Actually, it's just the first 10 seconds. I know I wrote about this before, recently, but it is well worth repeating. The hardest time to stick to your health principles is when you are out shopping. Few single things will have a greater impact on your health, well being and body shape that exercising will power in the supermarket and the convenience store. Think of it this way: If you buy it, then it’s in your house, and you have to exercise will power every day, 7 days per week, often several times per day, because you know it’s there, in the fridge/cupboard/larder. However, if you can exercise self control in the shop, surrounded by every temptation piled floor to ceiling high, then the other days of the week will be easier, because it will not be in your home – out of sight, out of mind. Just show restraint that one time, and you won’t be tested again and again every day in your home. Exercise your greatest will power when shopping. Sometimes you have to bend the rules! Travelling can be the hardest time for anyone trying to eat a healthy diet. When we are away from home, in unfamiliar surroundings, away from our usual choice of shops and markets, when the food shopping and cooking is not 100% under our control, this is the hardest time to stay comfortably in charge of what you eat. Any of you who have been following this blog and are familiar MotherNaturesDiet and the 12 Core Principles (See page ‘The Rules!’) will know that Core Principle 12 allows me to apply the 90/10 rule, and not just as a get-out clause or an excuse for ‘treats’! (In my mind, they are not treats, they are mistakes, set-backs on the road to supreme good health.) ‘Rule’ 12 is in there mainly because I am a realist, and I know that it is virtually impossible to always get organic veggies, organic clean fruit, free-range eggs, outdoor-reared free-range meat, and so on. As low-level stress is a major health challenge these days, getting would up over your food choices is not good for your health, so Rule 12 is there to help us all relax a little and ‘don’t sweat the small stuff’. Over the weekend, I was struck by just how hard it is get the things we want when away from the familiarity of our regular ‘home turf’. I went to a medium-sized supermarket, and there were almost NO options on free-range, organic, outdoor-reared meat or open-ocean caught, sustainably-caught fish. This supermarket had just a couple of free-range whole chickens available, and that was it, there were no other options. No outdoor-reared grass fed beef, no outdoor reared pork, lamb, nothing. There were a few organic veggies, but the range was limited and over-priced. 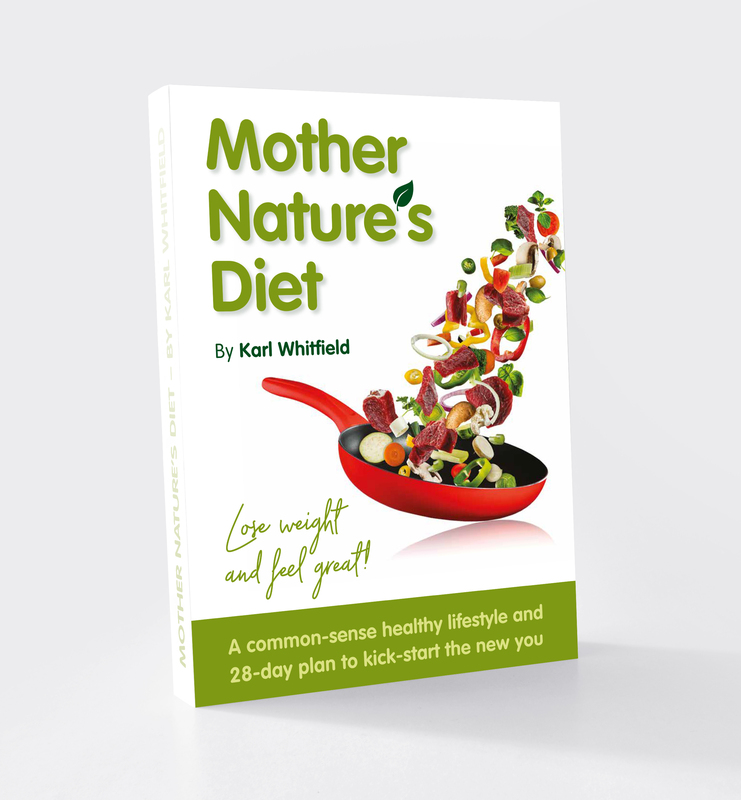 In the process of creating MotherNaturesDiet, I had 'lofty visions' of things I would do, or at least try, in my pursuit of natural healthy living and designing the best possible healthy diet. I had hoped that I would find time to try living off the land a little more...in spring and summer foraging for fruits, nuts, seeds, berries, edible roots, plants, flowers and anything else edible in the natural world around me. I had hoped to spend more time learning about which fruits and vegetables are natural to Northern Europe where I live, to learn more about being local and seasonal. I had hoped to spend more time tracking my waste and costs, I want to see how eating only organic, fresh, local, natural, REAL food has reduced the amount of waste I produce from packaging. I have always had clear goals for MND.